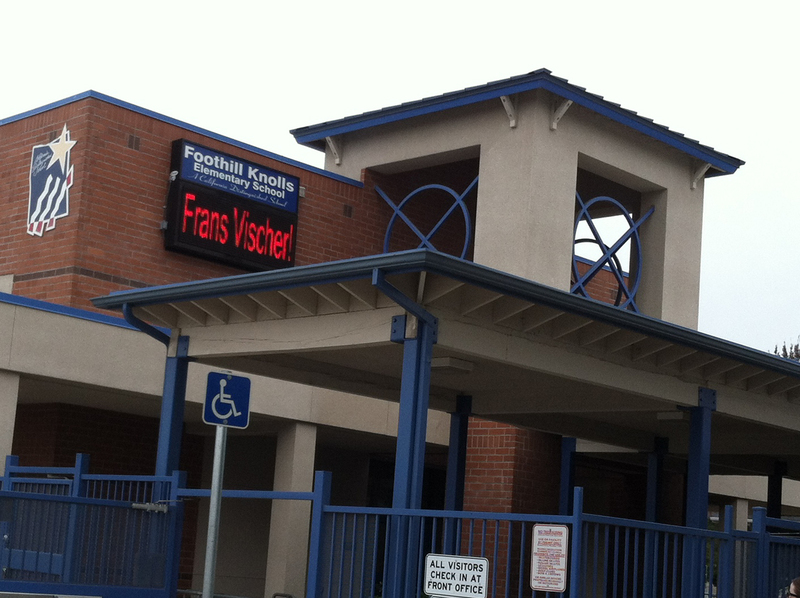 frans visited foothill knolls elementary school in upland this week, and they put his name in lights! 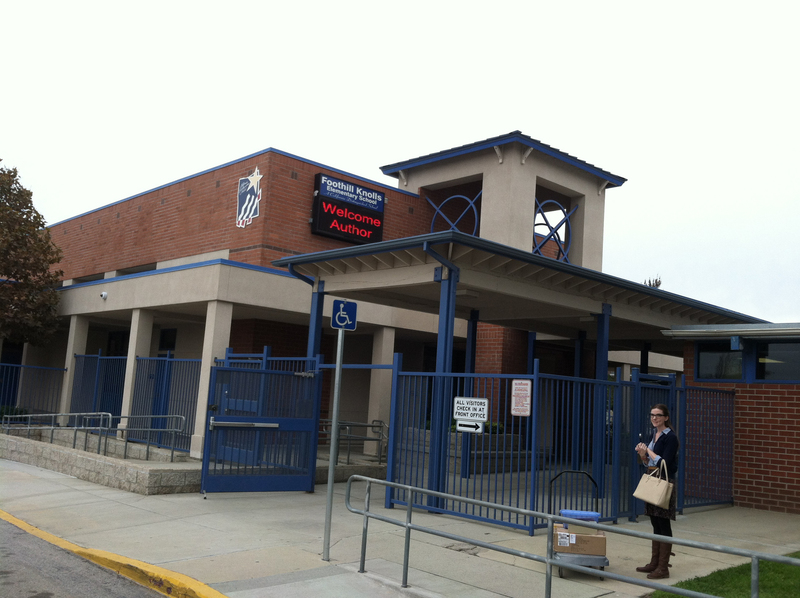 it was a really fun visit. lots of laughing, especially when frans showed the videos of me! and frans did drawings of me, and talked about me, and kids asked questions about me. i don’t know why they frans’ name in lights. it should be me! maybe if i come along they’ll put my name up there. but then the kids will want my autograph, and it’s kind of difficult for me to hold a pen, missing the opposable thumb bit..
← A Great Good Place for Books!